Come and enjoy one of Eagle Vale’s fantastic dinner buffets! Corporate and charity events have been enjoying them for over 30 years now and like a fine wine, they seem to get better with age! We offer many options and can customize something for your special event or outing. 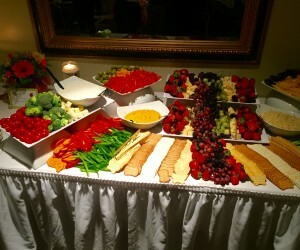 Call Karen Kiehle for more info regarding the tremendous offerings we have for dinner buffets. You’ll be happy you did!